There were 246 press releases posted in the last 24 hours and 153,497 in the last 365 days. Veteran support advocate and military food supplies business owner Steven R. Pietro explores the obstacles faced by today's military veterans. WEST PALM BEACH, FLORIDA, UNITED STATES, January 25, 2019 /EINPresswire.com/ -- From unemployment and homelessness to substance abuse and concerns surrounding mental health, many thousands of distinguished U.S. military veterans face numerous often unimaginable obstacles following the completion of their service. That's according to Steven R. Pietro, owner and founder of Justice Government Supply, Inc., as he reveals more about the troubles faced by countless veterans in America today. "Serving time in the military calls for hard work, immense discipline, and a steely determination," says Pietro, "yet, on transitioning from active service back into civilian life, veterans routinely face a raft of obstacles and other difficulties which many people unknowingly overlook." Post-military and away from their former high-pressure and often incredibly stressful lives and environments, veterans are also widely understood to be at a significantly increased risk of developing depression and encountering often lengthy periods of anxiety, isolation, and general unhappiness. "Many veterans also struggle with reintegrating back into family life, securing a new career, or, more generally, finding purpose," Pietro explains. Accordingly, and combined with countless cases of post-traumatic stress disorder, America's veterans are increasingly at risk of homelessness and of falling prey to alcohol addiction and substance abuse. "These," says Pietro, "are just a small number of the challenges faced by U.S. veterans, and which many of them face each and every day." 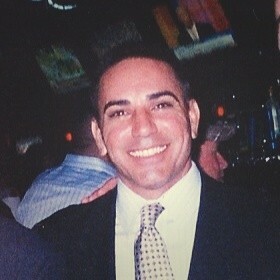 As such, Justice Government Supply, Inc. founder Pietro continues to strive to support the country's veterans by backing efforts surrounding mental health, addiction, and homelessness, as well as in assisting veterans in applying their military backgrounds into securing meaningful new careers and work opportunities. "By identifying and then assisting to prevent our veterans from spiraling into the often times, inescapable hole of depression, that is almost always accompanied by drug and/or alcohol abuse, we are able to create a stable platform in which to grow in a positive manner. Isolation from friends, family, and loved ones, plus homelessness and increasingly deteriorating mental and physical health are all factors that we can offer assistance for these incredible men and women in living the lives they deserve to enjoy," he explains. "Having offered up their own lives to protect and serve our country and our way of life," Pietro adds, wrapping up, "our invaluable veterans are heroes of the greatest magnitude and are wholly deserving of every shred of help and support which we can offer to them in their own times of need." “Counseling, meetings, food, rent and living subsistence are just some of the ways that we all can help. More often than not, being available to talk someone through a tough time is all that is needed; for a Veteran to know that someone actually cares and is listening”. A graduate of Creighton University in Omaha, Nebraska, and San Diego's California Western School of Law, Steven R. Pietro currently resides in West Palm Beach, Florida. An experienced professional with a demonstrated history of working in both the public and private sectors, as well as within the military industry, Pietro is highly skilled in sales, team building, public speaking, management, and leadership, among other talents. To find out more about Steven R. Pietro and Justice Government Supply, Inc., please visit http://jgsfoods.com/.